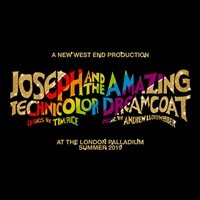 Joseph and the Amazing Technicolor Dreamcoat tells the story of Joseph, son of Jacob and one of 12 brothers. As his fathers favourite, his jealous brothers turn against him and sell him to passing merchants. This is just the start of an adventure that will see him rise to greatness, from slavery to becoming the Pharaohs right-hand man. Full of drama, action and fun Joseph and the Amazing Technicolor Dreamcoat is an exciting musical for all the family.